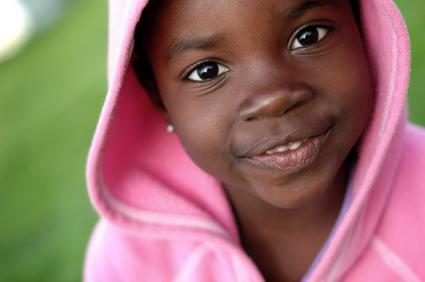 Youth hoodies are one of the most popular and trendy items in a child's clothing closet. Whether you have a girl of three years or a boy of twelve, you're likely to find a few hoodies among the most popular clothing items for your child. The great thing about hoodies is that they can take on many different looks for many different groups. Some boys love the camo hoodies, while others are more into a sporty look; for girls, some love the boyish-looking hoodies and others love the very feminine pink and purple hoodies with flowers and 'princess' written on them. This variability is one of the greatest assets of youth hoodies: there's one for everyone. Does Hollister Sell Kids' Clothing? Not only are school-aged boys and girls wearing hooded sweatshirts, but hoodies are also one of the cutest of the toddler trends in children's clothing. One option for a sporty girl is the Under Armour Hoodie that is warm and good for sports, camping, and general wear. A popular option for boys is the DC Boys Hoodie that comes in two different color combinations; it's pricier at $80. A sportier, less expensive hoodie for boys is the Old Navy Hoodie in single colors. Boys who like their clothing simple will prefer this option, and it's less than half the price of the urban McMullens hoodie. Another great feature of hoodies, besides their versatility in terms of style, is that they are great layering pieces. On many days of the year (except for the winter), you can consider a heavier-weight hoodie to be a jacket. While many children refuse to wear a jacket, they love wearing their hoodies, so as long as you don't call it a jacket, you've succeeded at getting your child to wear something that's just as warm as a jacket. Your child will be happy wearing it because youth hoodies are popular and trendy for both boys and girls. In spring and autumn, a hoodie is a great item for outdoor playing. Hoodies are easier to throw in the laundry than many jacket fabrics, so no matter how roughly your children play, you can get their jacket clean every time if it's a hoodie. In addition, a youth hoodie costs much less than a jacket. For this reason, it's also affordable to have two or even more hoodies, which makes it easier to have one in the laundry pile and still have one to wear. Children's clothing doesn't fit for several years, so the likelihood of having more than one jacket is low; youth hoodies can be bought in multiples because of their lower price. Girls wearing youth hoodies often go for a casual look, such as a pair of patchwork jeans paired with a feminine hoodie. Alternatively, some older girls prefer camo hoodies with carpenter pants or a sports hoodie with athletic pants. Whichever look your daughter prefers, she's still in the trendy styles of hooded sweatshirts.Likewise, boys can wear several different types of hoodies to achieve several different stylish looks. About the only look that boys have difficulty pulling off is matching a dressy outfit with a hoodie. While girls can pair a white or pink hoodie with a sundress and sandals, it's quite difficult to put together a boys' dressy outfit that will still look dressy if you add a hoodie to it. Of course, this is no reason not to try it, but like several children's and adults' fashions, girls have more versatility in dress clothes than boys. Youth hoodies are a great clothing item for children both from the parent's practical standpoints as well as from the child's standpoint of what's comfortable and popular. The only thing to look out for when choosing hoodies for your children is to not buy one with strings in the hood. These strings have been called a strangulation hazard and been recalled from several makers. If you choose only hoodies with a drawstring, this is of no concern and you have a stylish and functional clothing item all in one.